For the past five months The Houston Group website has stated “Website Coming Soon!” After much internal anticipation, it has been completed with the artistic and talented help of Cleveland graphic design, web design and branding firm, Go Media Inc. Therefore, it would be appropriate to blog about the controversial “Coming Soon” advertising which has seemingly become more present in marketing homes for sale. 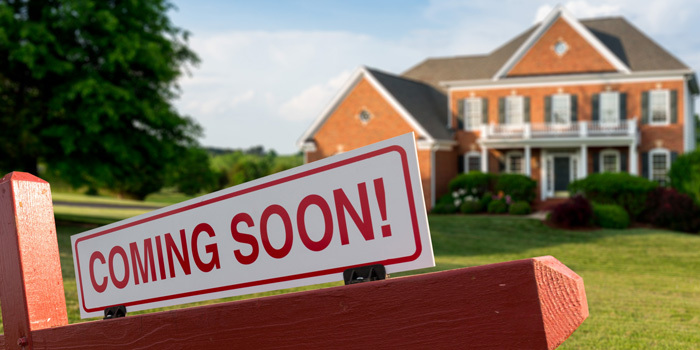 Recently, on April 26th, the local MLS has introduced a status in the system of “Coming Soon” with inherent guidelines real estate brokers are to follow. Undoubtedly, the local board’s decision to do this, came from confusion, controversy and issues stemming from this marketing technique and to try set a standard within the industry. Especially in today’s low inventory market, it is extremely frustrating and upsetting to buyers and buyer-client agents to call on a “coming soon” property to be told it is available for showings at a specified time, only to find out days later that it has been sold and is no longer available. If not executed properly, it can cause unneeded consumer frustration, harms the reputation of the real estate broker, the real estate industry in general, and may be a license law violation. What does it mean to market a property as “coming soon”? The answer will vary depending on the agent, broker, or MLS. “Coming Soon” signs and/or listings have been around for a long time. Some “coming soon” properties will be listed with a broker in the near future, while some properties are subject to listing agreements and cannot be shown until a specified date. There are good and valid reasons to market a home as “coming soon”. It can be a useful and legal tool in getting a home marketed and sold while a home is being prepared and staged to sell. It definitely can create interest and buzz and let the public know it is going to be available for sale. As long as the client is making an informed decision and the broker is operating in the best interest of the client, all is fine. The client’s best interest is defined by the client, not the broker. “Coming soon” should not be used as a gimmick by the real estate agent to attract more buyers for their own gain or to try to sell to their own buyer-clients. Without a doubt, sellers/owners have the right to determine what signage goes in their yard. As long as they have been informed of the benefits and the disadvantages, and that there is no misrepresentation, then there is no issue. It is critically important that sellers understand the implications of various ways of marketing the property so that they can knowingly determine the choice that best serves their interests. Real estate agents and brokers must place their clients’ interests above their own and act in the best interests of their clients at all times. Failing to do so and to not disclose the pros and cons of “Coming Soon” marketing can violate state real estate license laws, MLS rules, and the REALTOR® Code of Ethics. Restricting the marketing of a seller’s property to only small networks or to national websites without also making it available through the MLS results in the property not being exposed to the broadest group of potential willing and able buyers. This may not provide the seller the best chance to attract offers at the highest price and best terms. For most sellers, getting the highest possible price with the best terms is in their “best interest” and exposing their property to the broadest market advances that interest. Personally I am not a raving fan of “Coming Soon”. Yet I recognize there are instances where it is appropriate. It is my professional opinion, however, that when a home is introduced to the market, it should be done with great inclusive photos, complete descriptions and information, clean inside and out, and flawlessly groomed landscaping – available and open to all – to get the best results. First impressions have always and continue to matter the most.